When news crews swing into storm coverage mode, they often broadcast images of residents scrambling to board up their windows. What the cameras don’t always catch are the many residents who quickly deploy their hurricane shutters in a matter of minutes. The destructive power of high winds is remarkable. As residents of hurricane-prone areas understand, extreme winds hurl objects through the air with tremendous force. A study of claims data from the 2004 and 2005 Atlantic hurricane seasons calculates the probability of a given window being struck by debris. Probabilities increase with higher wind speeds and longer duration events. For example, there is a 23 percent chance of a given window being struck by debris in a 120 mph wind lasting five hours. 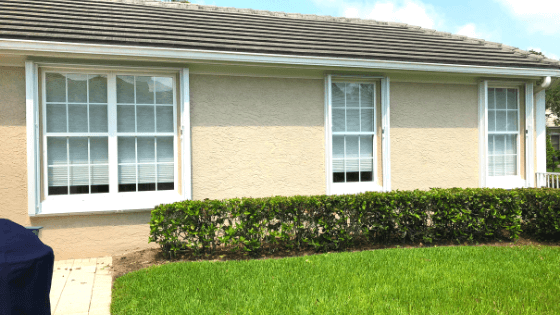 Of course, the many windows and other openings on a home greatly increase the odds of damage. 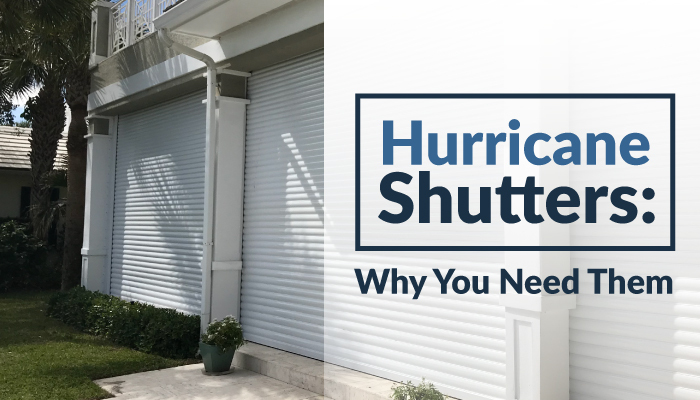 For real peace-of-mind, take a proactive approach by installing hurricane shutters that are compliant with the latest codes. You may even qualify for a reduction in your insurance premiums. A comparison shopper will quickly discover that there is an endless variety of hurricane shutters on the market. 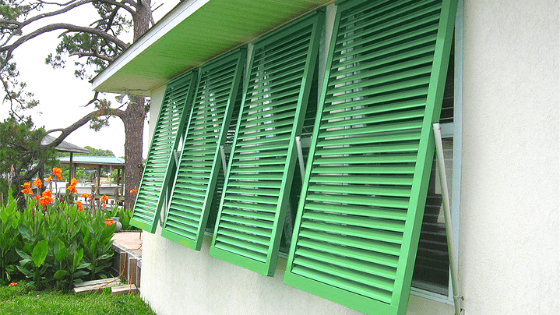 The primary function of these shutters is to protect home openings from flying projectiles when severe weather strikes. Some designs also serve important secondary functions, like home security, blackout protection and enhanced curb appeal. Let’s take a look at some of the advantages of different storm shutters. Code-approved Bahama Shutters simultaneously deliver important storm protection and charming island appeal. They also provide sun protection and privacy whenever you desire. Enjoy improved ventilation along with potential energy savings. When threatening weather approaches, you can use the adjustable aluminum arms to easily close them in only 15-30 minutes. Since they are adjusted from inside the home, they are very popular for use on second-story windows. In the Colonial Shutter market, you’ll find board & batten, solid back and open-louvered designs. The louvered style offers a choice of fixed or adjustable louvers to promote ventilation. Use Colonial Shutters on windows and most doors. It is possible to install fully functional shutters that also blend beautifully with your home’s architecture. Do you have windows with arched, angled or curved tops? No problem! At Palm Coast Shutters, we can customize Colonial Shutters to fit these shapes, thereby respecting the intent of your home’s designer. When a storm threatens, you can fully deploy Colonial Shutters in just 45 minutes to an hour. Think vertical blinds and you’ll quickly get the idea behind Accordion Shutters. When not in use, these easy-to-deploy storm shutters stack on either one side or both sides of windows, doors, sliding glass doors, balconies and patios. Locking pins keep them in place when they are not in use. 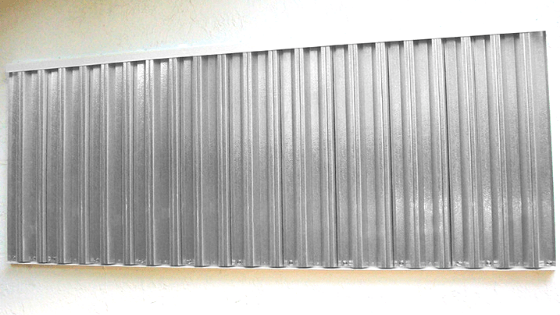 Accordion shutters are all about function, not aesthetics. They are not suitable for use with arched, angled or curved openings. However, they do offer a true “fingertip” operation that is a big selling point. Guide them into position, lock them in place, and you’re all set. Deploy them around your house in just 20-40 minutes. 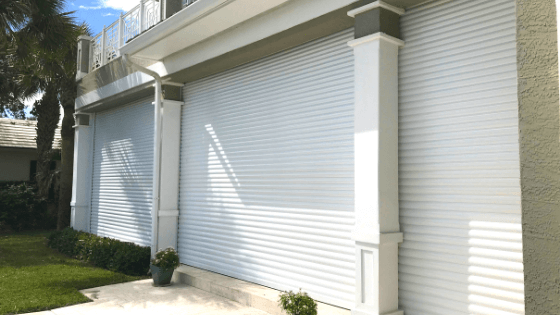 Roll Shutters are installed in a box above the window, sliding glass door, balcony or another opening, and they quickly roll down when you want storm protection. Code-approved Roll Shutters are a great choice if rapid deployment is important, particularly if you select the automatic design easily operated from an iPad, remote or switch. Manual operation is a cost-saving option. Since they are not decorative, they offer strictly functional storm protection. Since Roll Shutters are so easy to use, some homeowners deploy them for an added measure of home security when they travel out of town. They can also serve as convenient blackout shades. Use roll shutters to protect your patio or porch, and you can store your outdoor furniture there before you leave. Although hurricane shutters are the most popular form of storm protection, some homeowners choose non-decorative aluminum or clear Lexan panels to cover openings in advance of a storm. Aluminum and clear Lexan panels are relatively inexpensive, and they are deployed around most homes in less than an hour. Aluminum panels are a tough, yet lightweight alternative to plywood. They attach to the wall area around an opening using a system of tracks and anchor bolts, or permanent bolts only. Clear, warp-free Lexan panels are very light in weight, and they require far less storage space than plywood. They allow light into your home even as they provide storm protection. 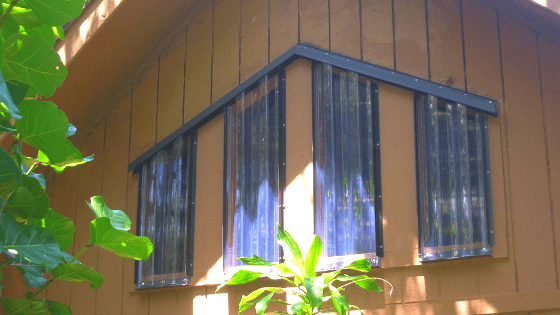 These clear panels are unobtrusive enough that you can leave them in position throughout the hurricane season. Since 2000, our family-owned business has delivered durable, customized storm protection for residents along the East Coast and across the country. Count on our fabricators to deliver a high-quality, low-maintenance product that will serve your storm protection needs for years to come. For a friendly, expert assessment of your home’s needs, please contact us today!